I know you can do an Ironman or any triathlon, running or cycling event without Gatorade. How do I know? I have personally done 3 Ironmans and over 27 years of triathlon without using Gatorade, even if it were offered on the course. Gatorade is a very big company and they sponsor the whole Ironman™ series of races across the world. My first experience with Gatorade was back in 1992 I think at a local 5K race in Chicago where I lived at the time. It was hot and humid and I grabbed a small cup of Gatorade at the race before it started. I had the worst stomach cramps ever so I decided to never try it again. Yes, the cramps were THAT bad that after only one use, I swore off ever using it again. I have for years searched for other products and learned how I can take those products with me. I do have to get creative at times, but luckily most of the sport drinks are also available in powders that can be easily transported. Back before 9-11, I could easily cram a huge baggie full of white powder onto the plane or in my bike box without having to worry what I was tranporting. Now, most of those products do come in single packets that can travel well. I use Hammer Nutrition products for years, until I got sensitive to the xylitol and found the stevia was too sweet for my taste buds but the electrolyte profile was good. I then switched to Vega until I developped a sensitivity to the brown rice syrup and protein. Then I found Infinit Nutrition where I can make customized drink mixes that work for me, yet I still use the Hammer Endurolytes to prevent dehydration symptoms. 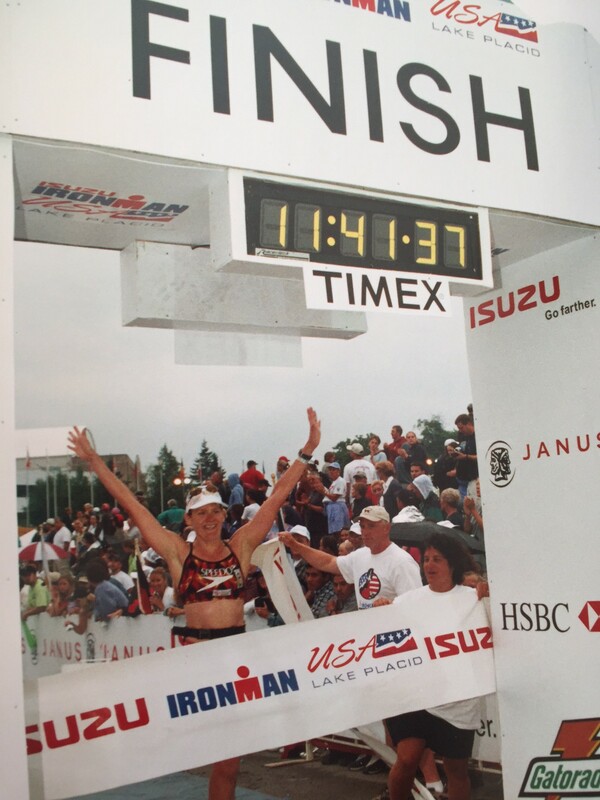 For all 3 of my Ironman races, 2 in Lake Placid, 1 in Madison, I raced without Gatorade. I brought my own powders, gels, bars and pills for each of them. I finished them all under 12 hours except that last one where sudden onset of plantar fascitis casued a DNF instead my fatest race. For many, like me, Gatorade does not agree with them regardless of the distance. If you are one of those people, know that you can race an Ironman without Gatorade. I did. I have helped others with taking their hydration and nutrition with them during the race and show them how to bring it along for the transition and special needs bags. It is not that hard but it does require some planning. You can do an Ironman without Gatorade. Let me show you how. Schedule your Eat To Compete Race Day Nutrition Sessions and we can sort through and optimize your hydration strategy using your fuel of choice. Choose from a single session, or a package where you test recommendatins in between sessions.